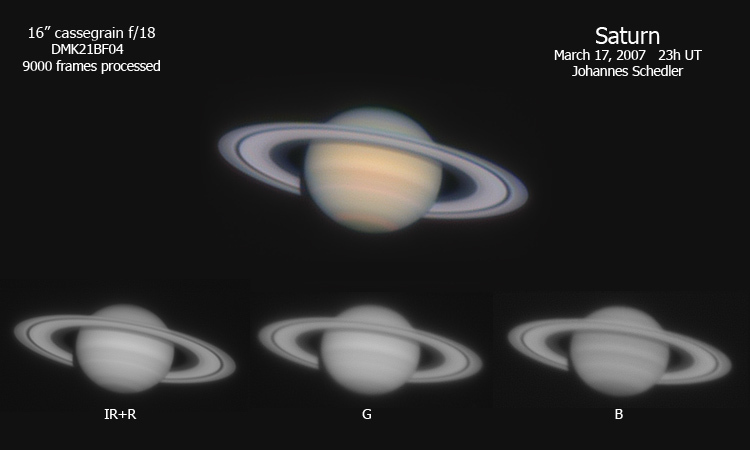 The ringed planet Saturn passed opposition at February 11 this year. It is located high up in the south at late evening between M44 and Regulus in Leo. The angle of Saturn's rings is narrowing and the planet's southern hemisphere is visible.